The 2017 Pathfinder takes the base created for it by the 2016 model and takes performance to a whole new level – a powerful engine, better steering, safer features. While the 2016 model was a great one, things have only gotten better with the 2017 Pathfinder’s upgrades. Commonwealth Nissan understands all your Nissan needs and questions, and we’re anxious to help you. Shop us last, and you won’t be disappointed. The 2017 Nissan Pathfinder comes equipped with a single powertrain configuration, but don’t let the narrow selection follow you into thinking the 2017 Pathfinder is anything less than a beast. The 2017 Pathfinder completely eliminates the need for power buildup between trim levels by giving all trims the same 3.5L 24-valve DOHC engine. This setup is perfect for providing a powerful, yet balanced output with 284 hp and 259 lb-ft of torque. Fuel economy for this configuration remains pretty generous as well, reaching up to 20 mpg city and 27 mpg highway with front-wheel drive and 19 mpg city and 26 mpg highway operating four-wheel drive. The available performance on the 2017 Nissan Pathfinder doesn’t end at the powertrain. While it is impressive, the engine is just the beginning of what the Pathfinder has to offer in the power department. Some of the great performance enhancing features you’re introduced to start with some more basic, yet important ones like Hill Start Assist, available Hill Descent Control, Dual flow Path shock absorbers, and electronic hydraulic power assisted speed-sensitive steering. The vehicle also offers drivers the ability to tow an enormous 6,000 pounds thanks to the combination of these features and many others. Compared to the 2016 model, the 2017 Pathfinder really steps things up in the performance department and is able to give drivers the quality performance that they’re truly looking for. The powertrain configuration available on the 2017 model is much more powerful, but is still able to maintain the same great fuel economy of the 2016 model. Other enhancements include stiffer rear shock absorbers, new rebound front strut springs, and an 11 percent increase in steering. These upgrades to the previous model ensure that all kinds of drivers will be able to harness the full potential of the high levels of performance the Pathfinder has to offer. 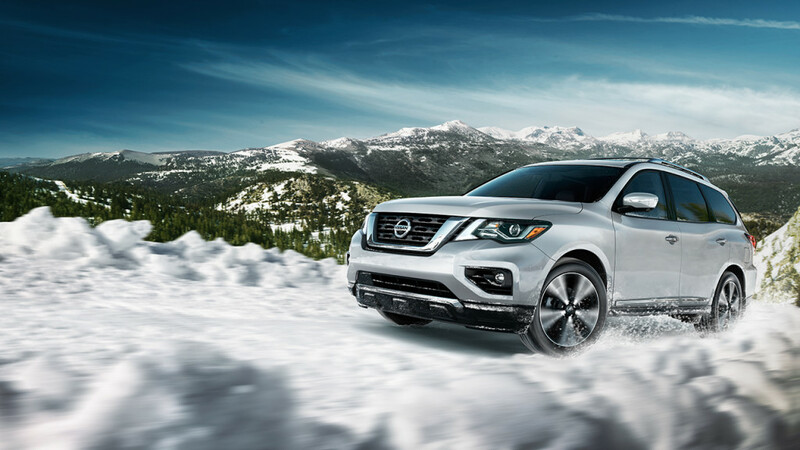 It’s clear that there’s a lot to offer with the 2017 Nissan Pathfinder in terms of performance. This isn’t the first time the vehicle has been known to have such incredible performance either, it’s been amazing customers with its abilities for years now. Join in on the experience of amazing performance today by visiting Commonwealth Nissan, contacting us online, or giving us a call at (833) 360-3405.